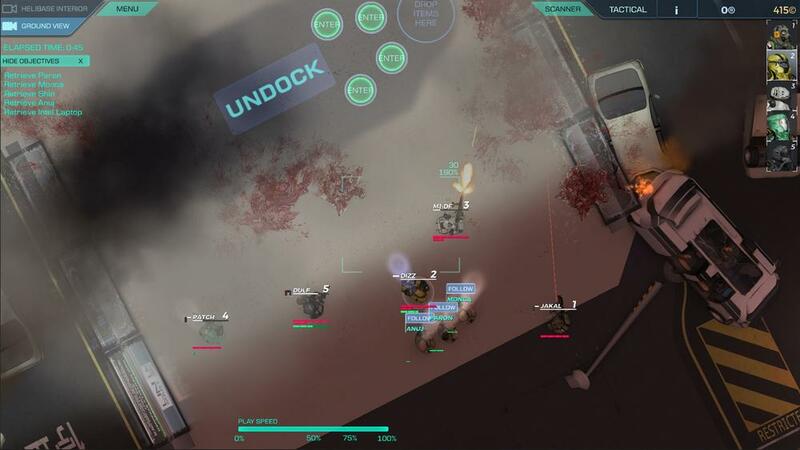 Strain Tactics is a real-time-with-pause tactical game, where you command a squad of soldiers to liberate earth from an alien infestation. Featuring 80 playable characters and over 150 unique items and weapons, the game challenges players to defeat enemies by commanding customizable ground teams from their Helibase overhead. Players can indulge in a variety of scenarios across over 30 different maps, and the sandbox-style mechanics allows users to approach the maps according to their play style. - Build and command your own 1-5-member heliborne task force. inventory slots with countless weapon and item combinations. - Choreograph your team's actions in real time with a dynamic drag-control system or manually micromanage units! - Defend the Helibase, and protect your team from above with miniguns, autocannons, and more. - Manage your team's mental health. Keep your squad topped up with happy pills, or deploy emotionless combat droids. - Protect your task force from contamination, or watch them erupt into even more strain. - Level up your units, and revive fallen team members by body-bagging (or selling their corpses for points).